Jan's Geo-Glow Site: I Have an Award! One of the neat things about the blogosphere is the way bloggers help each other out, pat each other on the back, and give awards. Yes, given the power of the Internet, we can create and give awards to whomever we want, whenever we ~ how cool is that! 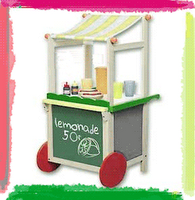 This refreshing Lemonade Award comes to me from Kat of Kat's Candles, a friend from Blog Catalog. Kat is also executive editor and art director of Angelz Ezine, to which I am now a contributing writer. Nominate at least 3 blogs which show great Attitude and/or Gratitude! Pay it forward for Thanksgiving! What fun. I appreciate your recognition, Jan. It was fun to check out Ket's blog and your other nominees. Thank you, Dana. I'm glad it worked!